Published: November 4, 2014 8:05 am Updated: Nov. 4, 2014 9:03 a.m.
HONG KONG — Inside the upscale, metallic grey apartment tower rising from the heart of Hong Kong, police uncovered an unspeakable crime that has jolted this city proud of its reputation for safety and order. The bodies of two slain Indonesian women were found, one stabbed in the neck and buttock and the other stuffed into a suitcase, with cuts to the neck. 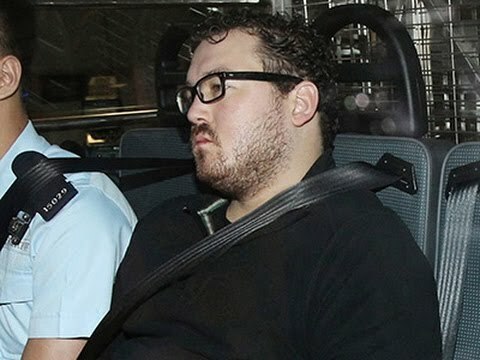 Police immediately arrested 29-year-old British banker Rurik George Caton Jutting, who had led them to his apartment where the bodies and a knife were found. Now, the families of the women as well as Hong Kong police and Indonesian officials are trying to figure out how the horror unfolded and who to hold accountable. Indonesia Consulate spokesman Sam Aryadi confirmed Tuesday that one of the victims was 29-year-old Seneng Mujiasih, who had come from the city of Muna on Sulawesi island on a domestic worker permit. She had let the visa lapse, Aryadi said, and ended up "hanging out" in the red light district of Wan Chai. There she had gone by the Filipino-sounding alias of Jesse Lorena Ruri, another official said. A picture posted on a Facebook page set up in her honor showed her smiling widely, dressed in a glittering silver cocktail dress, perched on a bar stool. Hong Kong police identified the other victim as 25-year-old Sumarti Ningsih, who was in Hong Kong on a tourist visa that expired Monday. Speaking to TV reporters Tuesday from the village of Gandrungmangu on Indonesia's Java island, Ningsih's father, Ahmad Kaliman, demanded justice for the crimes. "The perpetrator has to be sentenced to death, or at least life in prison," the 58-year-old said. He noted the suspect's profession and added, "He also has to pay money to help support Ningsih's 5-year-old son in the future." The two women appeared to be among the thousands of migrant workers looking for better pay in the wealthy financial hub. About half of the 319,325 migrant domestic workers in Hong Kong are Indonesian and nearly all are women, according to Amnesty International. Jutting, who appeared disheveled and dazed before appearing in court Monday, had recently quit the job he had since 2013 in structured equity finance and trading for Bank of America Merrill Lynch in Hong Kong. He's expected to cooperate with police on Friday in helping reconstruct the crime in his 31st floor apartment in the J Residence tower. As recently as Oct. 15, Jutting had posted a picture on Facebook apparently of the glass-and-steel balcony where Ningsih's body was found in a suitcase. All the friends "liking" the photo were young Asian women, mostly with Filipino names. Other photos on his Facebook page show the pro-democracy protests that have filled Hong Kong's streets since late September. On Sept. 30, Jutting even posted the movement's yellow ribbon as his profile photo. Jutting graduated from Cambridge University, where he was secretary of the university's history society. He has yet to enter a plea to the two murder charges against him. The consulate was arranging for the bodies of both women to be return home for burial. "Both of the women came from small cities," Aryadi said. "We are working to have them sent back to their families."